If it wasn't for the sign outside, you probably wouldn't even take this for a church. The flint gives the game away, as does to the high porch, as high as the roof line, blank faced apart from a little quatrefoil opening near the top. Pevsner gives the date as 1854. 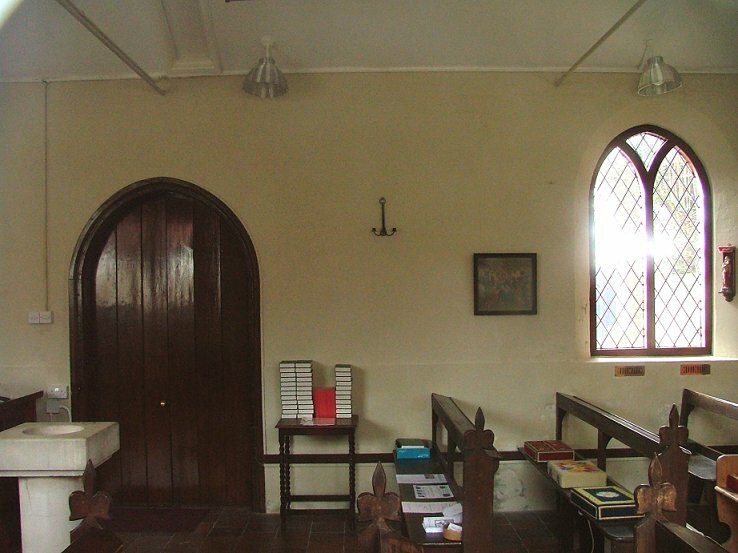 On this south side, and on the east end, the windows have simple Y-tracery. On the north side, all ecclesiological pretence falls away, and here we have a simple brick building with four large casement windows, probably replacements of something earlier, but also probably more indicative of the original mid-19th century building than the south side, which is probably a later 19th century facade. 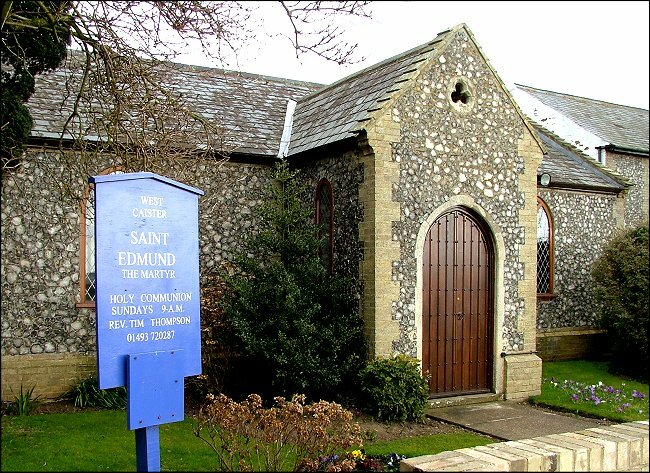 Curiously, Paddy Apling tells me that St Edmund is not mentioned in Kelly's otherwise meticulous Directory for 1883. 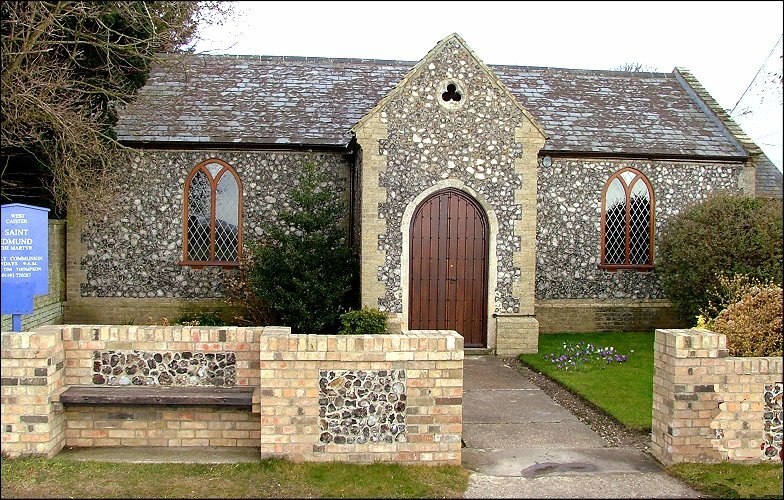 If Pevsner's date is correct, then it should be; but I wonder if this was actually built as a hall, and it only became a church when the flint frontage and porch were added, perhaps in the 1890s. Beyond, a garden, and then the dramatic ruin of the original St Edmund, the snaggle-tooth lower tower of a substantial medieval parish church. The windows of the new church have been given false leaded lozenge lights, in that style beloved of former council houses. Through them, you can see that the church is furnished simply, but in a devotional manner. There was no keyholder, and I suppose the parish don't think that their church is important enough for visitors to want to see inside. But this is exactly the kind of wayside shrine that in a Catholic country would be open and accessible to passers by, so that they might light a candle and say a prayer. It would be lovely if the same thing was possible here.